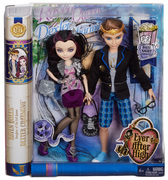 For a fairy long time, Dexter Charming has had a secret crush on Raven Queen. After countless missed glances and failed flirtations, Dexter has finally summoned the courage to ask her out and his wish is coming true. 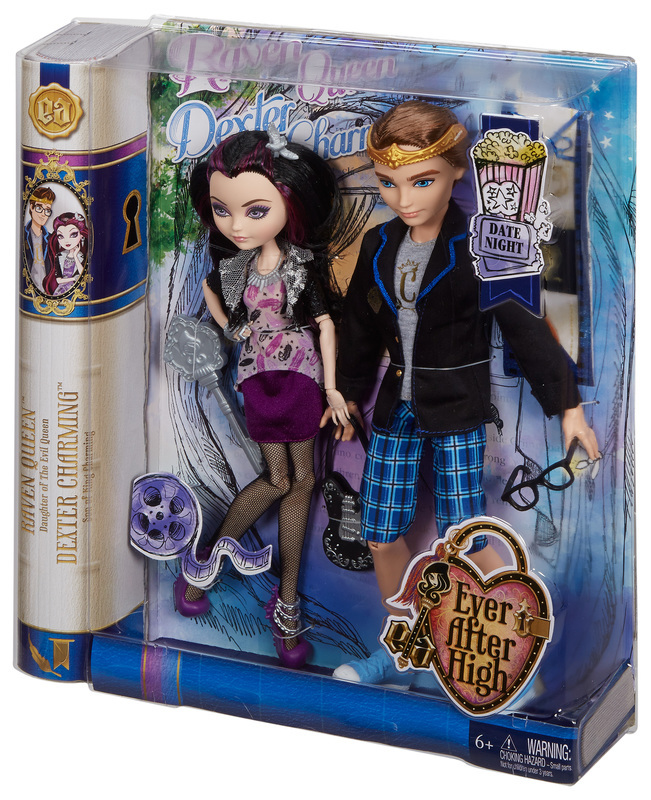 He and Raven are going on their fairy first date at the Multihex Theater! The son of King Charming is completely charming in blue plaid shorts, a gray decaled t-shirt and blazer. 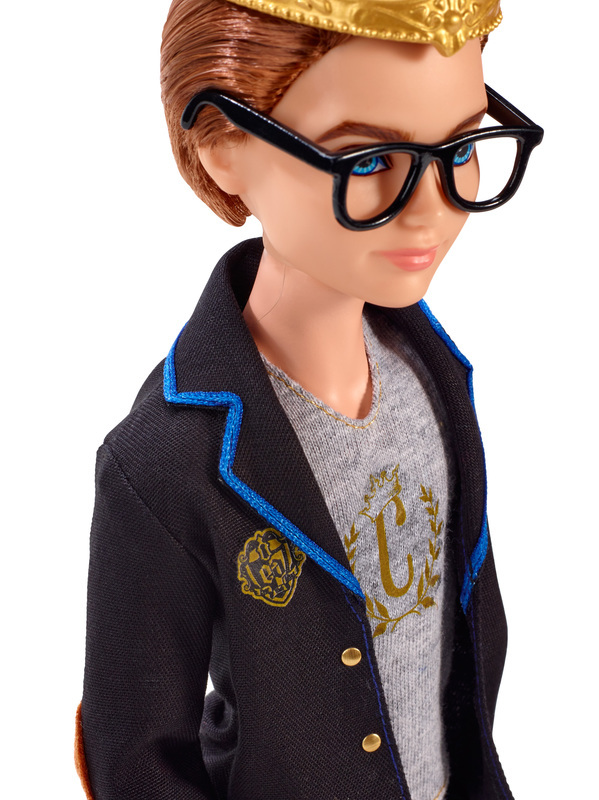 Blue kicks, a golden crown and his signature glasses are dashing accessories. A nervous Raven Queen looks wicked cool in a purple skirt, shimmery print top and spelltacular black jacket with an exaggerated sparkling silver collar. Silvery jewelry and a silvery crown hairpiece are hexquisite accessories. Spellbinding shoes and a guitar-themed purse complete the perfect date-night look. Never asked out before, the daughter of the Evil Queen hopes this romantic charmedy will have a happily ever after. 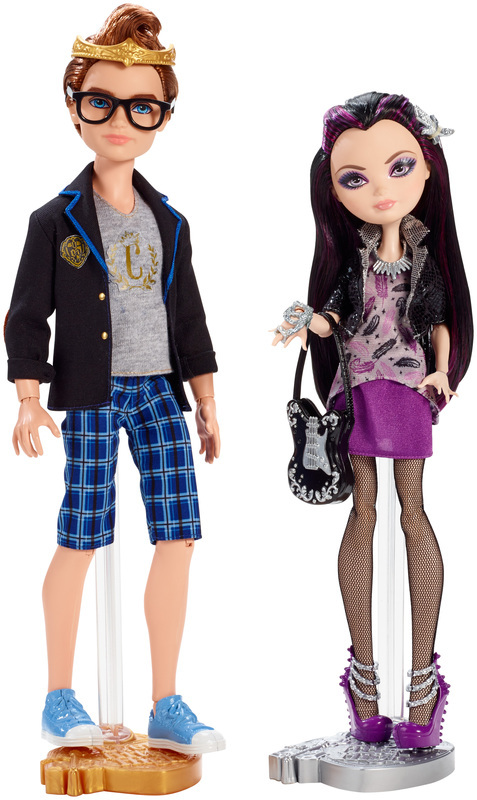 Girls will love playing out the night and deciding different fates for these two charming students. Two included doll stands and one hairbrush allow for hexquisite play and display. Plus, an enclosed bookmark reveals hexclusive details about this Rebel-Royal couple’s date. 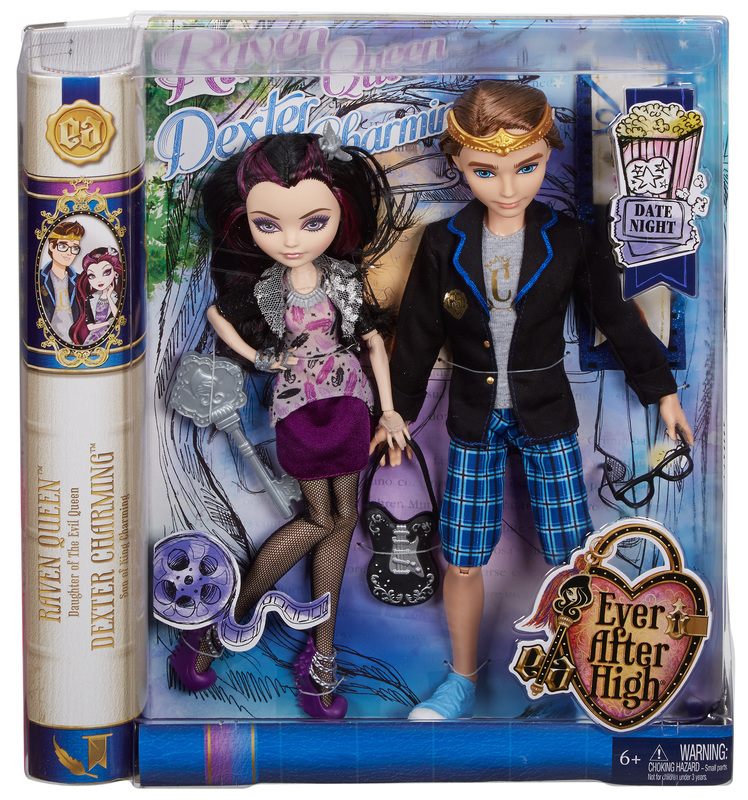 Includes Raven Queen and Dexter Charming dolls wearing fashions and accessories, one purse, two doll stands, one hairbrush and bookmark. Colors and decorations may vary. Dolls cannot stand alone. Ages 6 and older.